Heroin abuse is increasingly becoming a national concern with people getting addicted to different types of heroin. Every year, governments design policies to keep drug use in check, but the number of people on heroin keeps on rising. The affected are mostly the productive population, and this directly impacts economic progress. Reliable facts on heroin show that today, people are admitted to treatment centers for exhibiting signs of heroin addiction than any time in history. That said, identifying a heroin user is not an obvious task. This is largely due to their hideous nature and attempts on the part of victims to conceal their heroin addiction signs as much as they can from people around them. However, as the dependency develops due to increased use, heroin abuse symptoms both social and physical signs start appearing. Marks such as scars and sores start appearing on the heroin addict face. 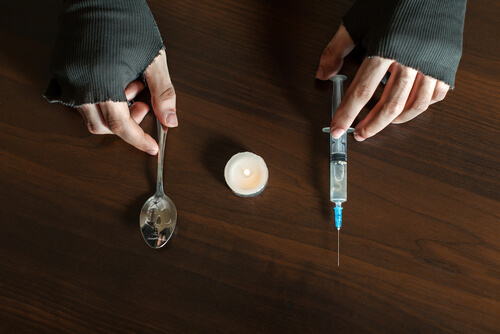 People who see heroin addicts daily become quite familiar with these and other signs of heroin use. What are the Physical Signs of Heroin Abuse? What are the Social Symptoms of Heroin Addiction? What is the Heroin Paraphernalia? Is It Easy to Spot A Heroin Addiction? To tell whether someone is under the influence of the drug, here are some of the physical signs of heroin use to look out for. Constricted heroin pupils that limit the amount of light entering the eyes. The drug users have a tendency to fall asleep anywhere at any time. They complain of nausea and vomit a lot, yet they don’t seem to mind it. These are signs that they know exactly what they’ve signed up for. One of the most obvious heroin signs is the fact that they refuse to eat anything. When forced, they will engulf without chewing or swallowing, and vomit the content out a little later. Visible heroin tracks on the arms especially where the drug is administered through injection. Slow to heal heroin sores and abscesses on the skin. Flushed skin as if they have been doing a lot of physical activity. There are certain impossible-to-miss signs someone is using heroin. The following are some of the telltale signs someone is on heroin. When a person gets addicted to drugs, they become a whole new person. They adopt some heroin addicts behavior that makes them antisocial. To answer the question, what does a heroin addict look like, below are some social behavioral signs. The individual tries unnecessarily to hide parts of the body which are usually exposed such as arms. They start wearing long-sleeved clothes to conceal the tracks on their heroin arms. The person doesn’t bathe or comb their hair regularly. They don’t take care of their body, and their heroin teeth are signs of the neglect. The company changes. All their old friends have been replaced by newer ones who are very different from normal people. Friends are usually the first people who notice things about each other. Ask their old friends about drug use as well. Money may start missing with no proper explanations and victims may begin lying about their activities, do not let this pass. Without being aggressive, ask them politely whether they are under the influence. Their conflicting, disoriented answers could be a clue. Lack of interest in work, studies or any other activity is among the strongest signs of drug use. After successfully identifying the signs and symptoms of heroin use, the next step is to look for paraphernalia commonly used by the addicts. These would be the day-to-day items a heroin user keeps for administering the drug and cleaning up. Injection: This delivers the most immediate effect of the drug. Once the victim injects the drug into his veins, it enters the bloodstream and travels right to the brain. In about five minutes following the injection, physical heroin symptoms start manifesting. That said, heroin stays in your urine much longer and getting rid of it may require detox treatment. The following heroin paraphernalia is among the strongest signs of drug intake and will help identify whether the victim injects the drug or not. Heroin needles: These are used for injecting the liquefied drug right into a muscle or vein. Cotton Balls – This is for straining the liquid drug and pulling out unmelted chunks of impurities. Bottle caps and heroin spoon- These come in handy to help in both cooking the drug as well as liquifying powdered heroin for injection. Candle or Lighter – This never misses out in the heroin kit. It is the source of heat for melting the drug. Tie-off- This can be a piece of rubber or shoelace used to tie off the arm or any other limb so as to have a skin popping heroin effect. Smoking: This is one of the most popular ways of introducing the drug into the body system. People on heroin have a collection of items they use for their smoking sessions. Heroin pipe – This is a must-have asset a heroin smoker. Victims may also roll the drug into a cigarette. In addition to the physical signs and heroin use symptoms, be on the lookout for rolling papers as evidence that this is happening. Despite there being many signs on how to tell if someone is using heroin, there is still some level of difficulty involved. Heroin overdose statistics show that many of the victims tend to hide their addiction so that the people close to them will not see any signs of heroin abuse. There have been cases where even spouses are absolutely clueless that their partners are addicted to the drug. For instance, some of them may inject the drug on their feet instead of the hands. This means looking for heroin scars and marks on the arms may not show anything happening. 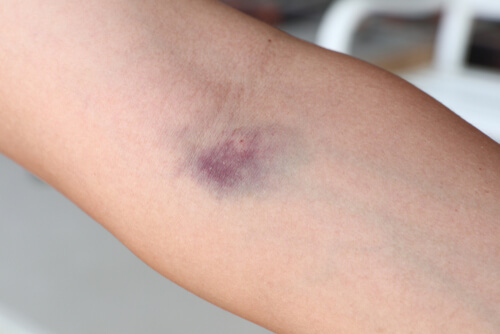 It is also rare to notice a needle stuck in a first-time heroin addict arms. Most of them either smoke, sniff, or snort heroin. It is very easy for light drug users to get high from just smoking. So it is rare to find them with heroin syringes injecting the substance into their muscles. Many victims understand that change of behavior will render them suspect. Therefore, they try the much they can to avoid being alone and generally mingle with other people. This makes detection very difficult. Looking for paraphernalia such as heroin spoons, razor blades, pipes, and tin foils may also prove futile. Users hide them in hard-to-access areas thereby leaving no trace of their drug use. There are people who use deodorizers and perfumes to get rid of heroin smell. This is especially true for those starting out on the drug use. Being an extremely powerful narcotic, concealing the effects of the drug becomes difficult down the road. It hits the user’s brain almost instantaneously and symptoms of heroin addiction. Heroin addiction hooks on opioid receptors which are normally activated by endorphins. When the victim injects heroin needle in the arm, the drug travels all the way through the bloodstream to the brain. This causes the brain’s reward system to be stimulated. The best way to help friends and relatives addicted to the drug is to take them through rehabilitation treatment for drug abusers. There have been many success stories of heroin users before and after experiences. It is time that drug victims also got proper treatment to break the addiction cycle. Psychological preparation – This helps in developing the willingness to stop drug abuse. In part, this heroin before and after psychological reset creates a physical and emotional dissatisfaction with the addictive lifestyle. Teach them about withdrawal symptoms – This stage creates awareness on the heroin addicts behavior, the expected effects of withdrawal and how to handle them. Medications and detox – The medication will help delay or reduce heroin withdrawal symptoms experienced while undergoing detox treatment. Detox helps in getting rid of toxic substances from the body of the heroin junkie. 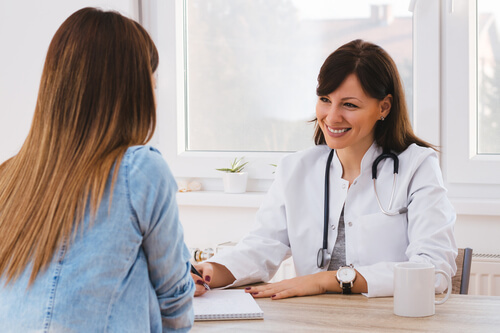 Choose between residential or outpatient treatment – In residential treatment, the client will live in a rehabilitation center for the entire duration of the treatment. Outpatient, on the other hand, refers to the treatment done from home. Is there a relative or friend hooked up on heroin? There is help available 24/7 in drug addiction help centers to assist in managing the addiction. Get in touch with a knowledgeable representative on 888-459-5511 for more information on rehab centers and treatment. The before and after heroin treatment experience is worth the sacrifice.